If you are looking for information on the Archadeck franchise business opportunity, Archadeck deck franchises or Archadeck custom decks franchising, then you have come to the right place. 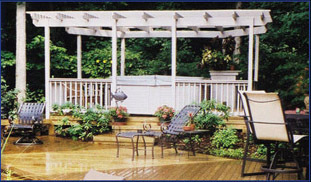 Archadeck was founded in June of 1980 by an architect and a builder in Richmond, Virginia. Our system is ranked as the eleventh largest remodeling firm in the U.S., and we are continuously featured in national publications. We are proud to say that Archadeck is now the nation's - and the world's - largest builder of custom-designed wooden decks, with offices in the United States, Canada, Great Britain, and Japan. Archadeck is the nations largest builder of custom decks. 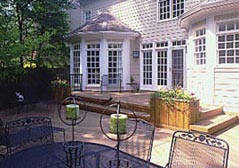 We also build screened porches, sunrooms, gazebos and much more, but our growth has just begun. Our future includes a broad range of products and services encompassing the total outdoor living environment. Our Proven Systems Produce Success. We teach franchisees what they need to know to run a profitable Archadeck business. Through extensive classroom training, video role-playing and field training, franchisees learn the principles of design and the proven Archadeck sales methodology. Archadeck supplies the essential tools for successful sales presentations and successful sales wrap-up's. These tools include: The Archadeck Site Survey Kit, Dovetail, our custom CAD software package, and The Consumer Information Guide,which explains construction and option details. It's easy to lose control of any business and lack of control is badbusiness. To keep control in the right hands, we developed The Archadeck Administrative Package, which incorporates Operations manuals, forms and custom software. These tools provide a straight-forward system for business management. With these tools in hand, each Archadeck franchisee is prepared to run a successful, profitable business.